Gentle readers, the holidays are fast upon us. Tomorrow is December first and from there we go into a flurry of planning and prepping and shopping and nesting and decorating. All to make our little home cozy and welcoming to our friends and family, who we will be celebrating Christmas with in Brooklyn. It may not feel like it's just around the corner. But it is. And, amongst the preparation we'll be doing (I'll document as much as possible for you here), we still have to go to work, attend events and, of course, we want to attend those obligatory holiday parties. The challenge I see before us? Getting everything accomplished, while still staying sane. And still liking each other! What are your tips for prepping your home for the holiday while still maintaining your regular, very full, schedule? 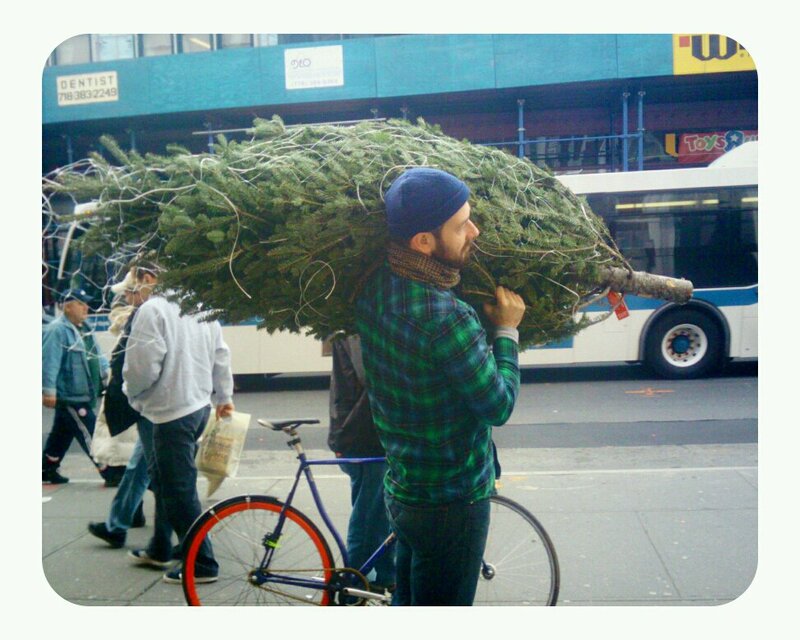 Photo: Boyfriend carrying my Christmas tree last year. We haven't gotten our 2011 tree yet.